Guinness PRO12 Rugby has become one of the hottest tournaments around featuring some of the sport’s biggest stars from the best teams in Europe. 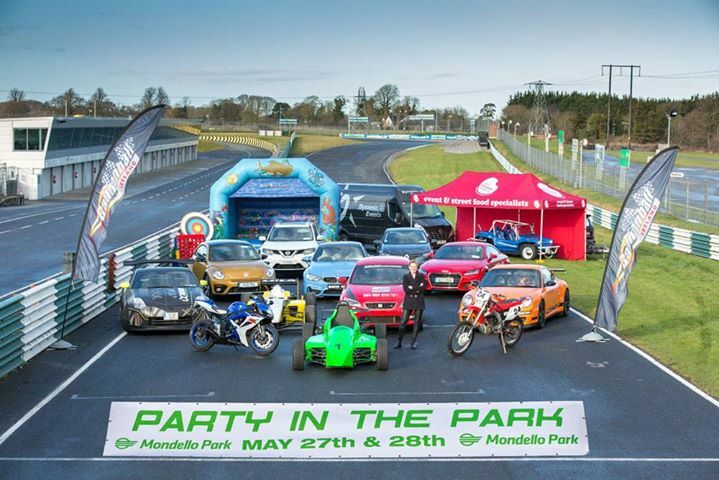 A fantastic event for all the family on and off the pitch, with plenty of entertainment for everyone, the Aviva Stadium in Ballsbridge is the place to be this May 27th. The event will include a charity walk, a raffle, music, goody bags and prizes for the dog with the Best Bark, Shiniest Coat, Happiest Smile and Waggiest Tail! All funds raised will go towards the work of The Irish Blue Cross animal welfare charity with sick and needy pets. 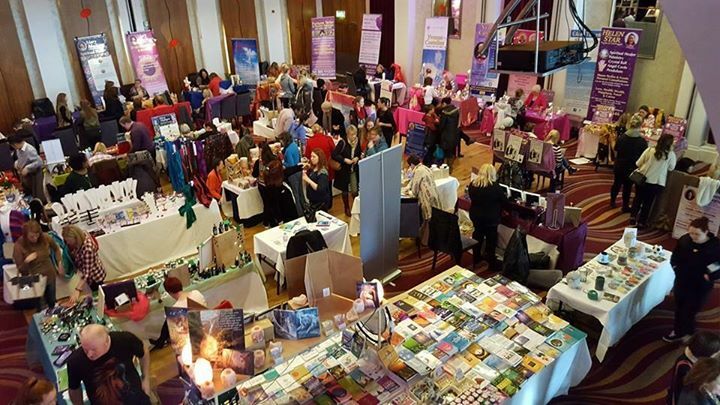 Some of Ireland’s top Mediums, Psychics, Tarot and Angel card readers giving One-to-One private & personal readings on the day. A wide range treatments, advice and information available on the day provided by a selection of national and local holistic therapists. Natural skincare & cosmetics product lines, herbal remedies, oils and essences. Ireland’s premier literary event comes to Dublin this summer with the finest writers in the world gathering to debate, provoke and inspire. 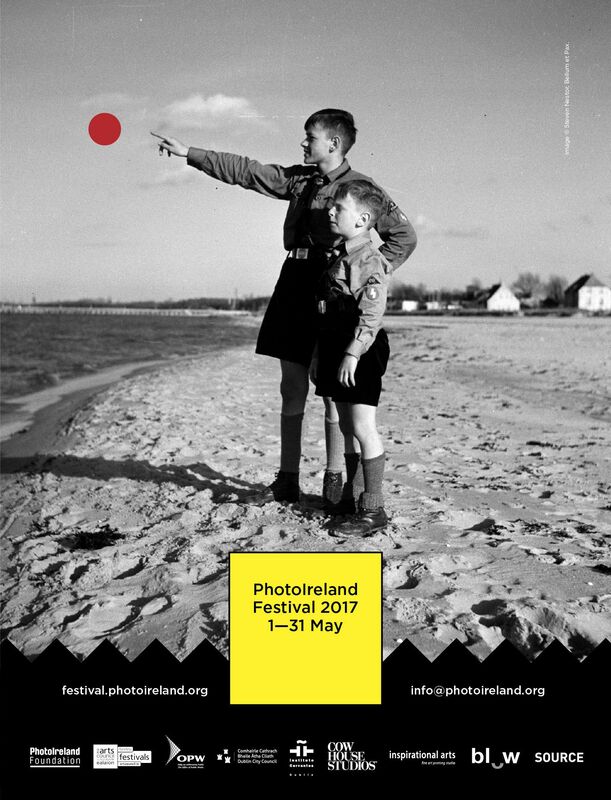 Children’s fiction and Irish language writers are also strongly represented at this high calibre festival so don’t miss your chance to explore why our country holds the record for winning the most Nobel Prizes for Literature in the world as the International Literature Festival Dublin takes over the capital this May. Family Day is the ultimate excuse to pack up the kids and head into the city for fun family times. The cobblestones of Smithfield Square will play host to hundreds expected to gather for quality family time. 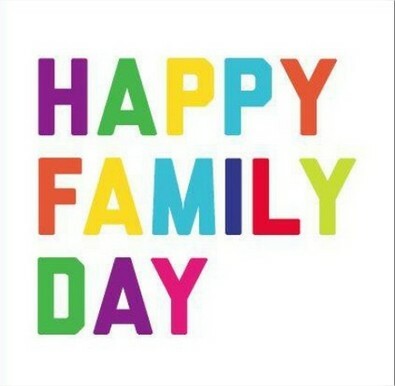 A diverse event, Family Day welcomes families from all over Dublin and from all cultural backgrounds – even temporary Dubliners here on holiday will join in the fun. 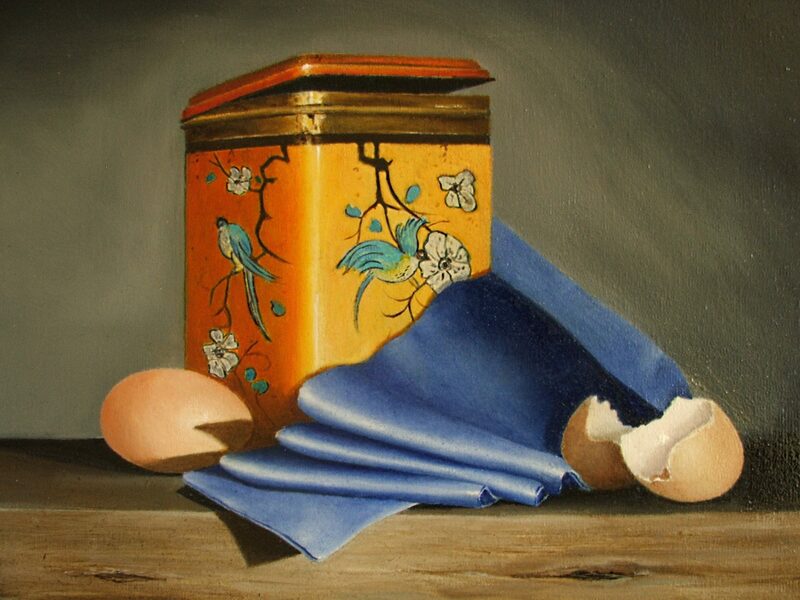 A collection of new Still Life work by Artist Amanda Tapley. Tapley’s subject matter is carefully chosen, using natural objects alongside man-made items, with the intention of highlighting the beauty of the everyday and the harmony between man and nature. Painting from life and using carefully constructed compositions and close attention to detail Amanda draws our attention to the qualities, textures and surfaces of the subject matter. For an ancient Irish queen of folklore, it must be said that Medb lived a life more resembling that of an action hero. You can join in this walking adventure if you have the true and noble heart of a warrior. 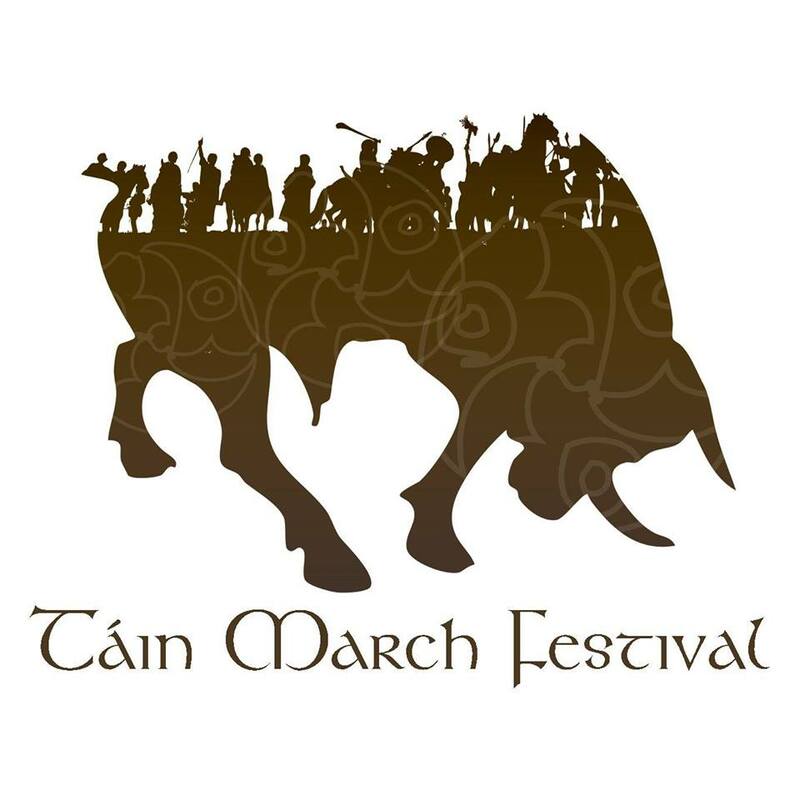 The nine day route can be tackled at once or you can choose just one stage to conquer, but the journey will be broken up by readings and tales about the first march of the Táin. It will take you from Omeath to the Cooley Peninsula, through Mebh’s own homeland, Rathcroghan in Co Roscommon. Feel closer to the wild days of ancient Ireland as you follow in the footsteps of one of its most impactful heroines. The Phoenix Park is Europe’s largest city park. Deer run free, and when the sun comes out, the city’s populous luxuriates in the sun’s rays there. 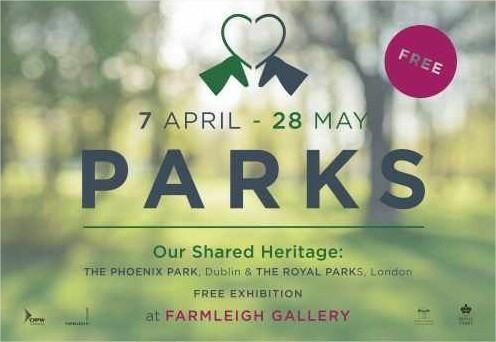 However, the Phoenix Park is part of a larger culture reflected over the water in London, where the Royal Parks are abuzz with zoos, outdoor swimming, and even art pavilions. 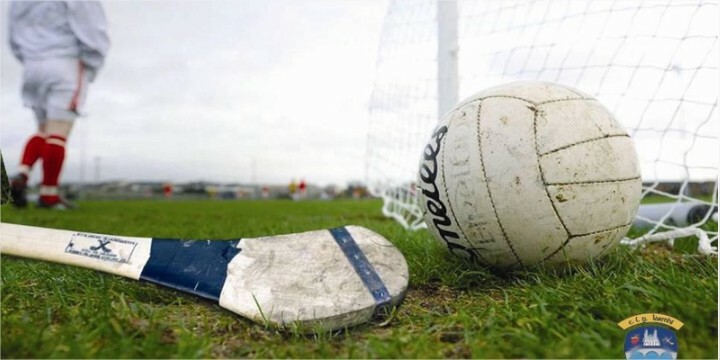 Foundation Football and Hurling Courses are aimed at Coaches of Juvenile Players and will be a mix of theory and practical work revolving around skill development and activities appropriate to underage players. The Bealtaine Living Earth Festival is the perfect way to spend a little time thinking about earth in a constructive and useful way. 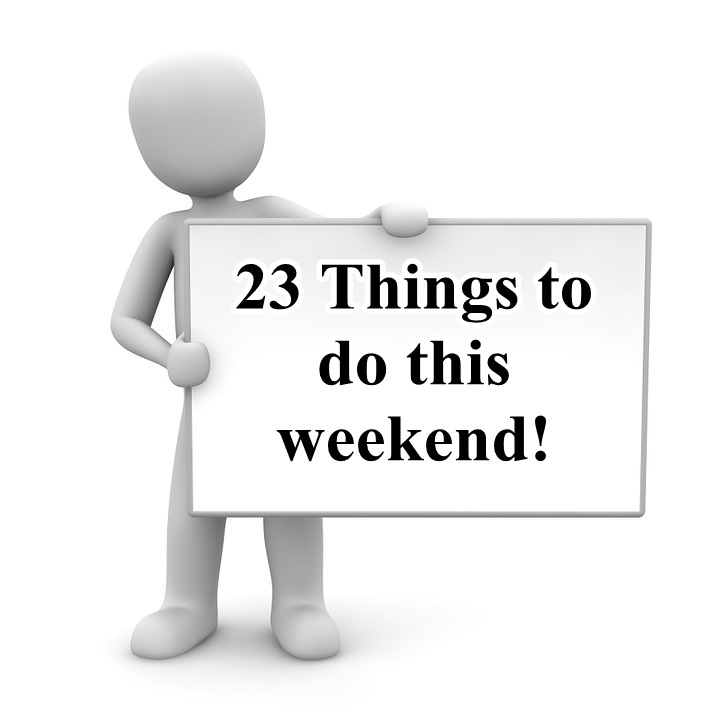 With a public programme heaving with events across the South-East, there will be so much to do that you won’t know where to start. The Coillte Emerald Enduro presented by Biking.ie will return to Carrick Mountain on the 26th to 28th of May for the 4th Round of the 2017 Enduro World Series. The best bike riders in the world will complete six timed technical downhill stages, in a rally style format called ‘Enduro’. The rider with the fastest combined stage times on day shall be crowned the winner. Several thousand spectators and dozens of international journalists, photographers and film crews will descend on County Wicklow, to witness the most spectacular biking event in Ireland! The Connemara Bog Week rekindles this spirit with a whole host of events that will bring together members of the community and visitors thanks to a programme packed with activities. If you’re feeling sporty, you might want to check out the 5k run and Family Fun Day, or take a breath taking guided walk in the Connemara National Park. Ponder spoken word at Poetry in the Park or sit under the gothic, pointed arches of Kylemore Abbey and enjoy an unforgettable concert. Art exhibition featuring the work of The ‘Young at Art’ Art Group. 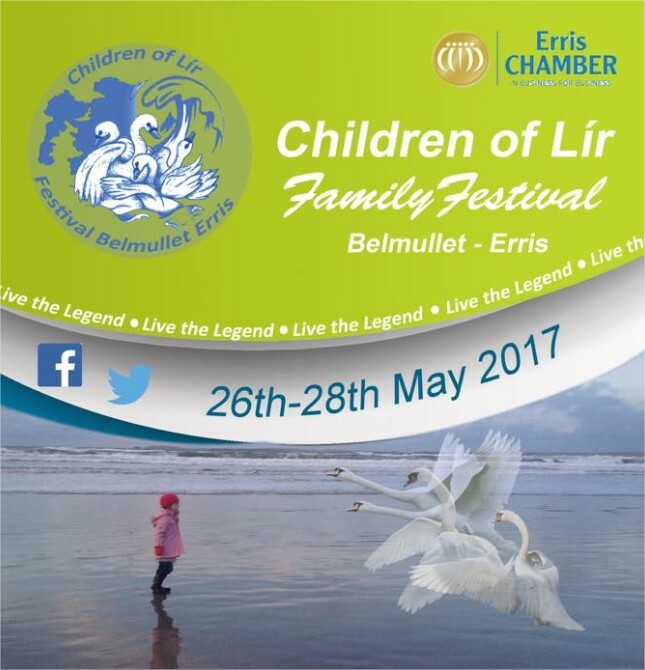 Belmullet is home to the annual Children of Lír festival, which celebrates the myth of Clann Lír, a story which is local to Erris, where Belmullet is located on the Wild Atlantic Way. This year’s fest will include a boat trip to the majestic island of Inis Gluaire, where folklore suggests that the Children of Lír are buried. If you don’t have sea legs, you can alternatively take in vistas of the island from dry land with a walk. Children will enjoy films in the local auditorium while creative types can test themselves with some arts and crafts workshops. 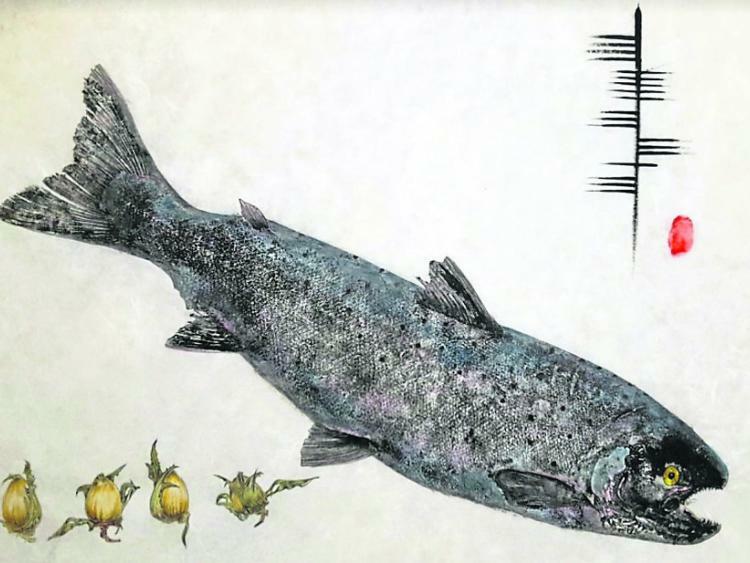 This new collection of artworks ‘EIKYO’ by Cróna Gallagher is an investigation into the fauna and flora of the west of Ireland which has had a direct influence on the artist’s creativity. Location: Hyde Bridge Gallery, Sligo. The Burren Rocks Festival celebrates one of Ireland’s most intriguing landscapes – The Burren and Cliffs of Moher UNESCO Global Geopark. Get immersed in all that is the Burren. Discover fascinating landmarks and important geological sites in the Burren National Park. Take a stroll through time in one of Ireland’s most intriguing landscapes and learn how the Burren was formed millions of year ago and how it became a UNESCO Global Geopark. There will be fun for all ages with walks, talks and a fossil hunt taking place in the Burren National Park. This independent festival is dedicated to bringing together both established and first-time filmmakers to a forum in celebration of the short film. 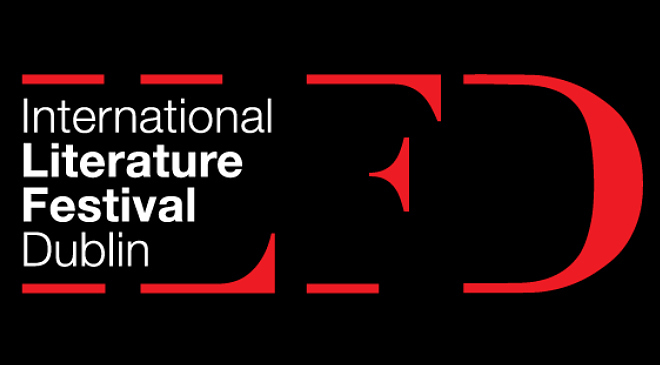 Although the element of competition is a part of the Fastnet Film Festival, the focus is about screening the entrants’ films in the public arena. 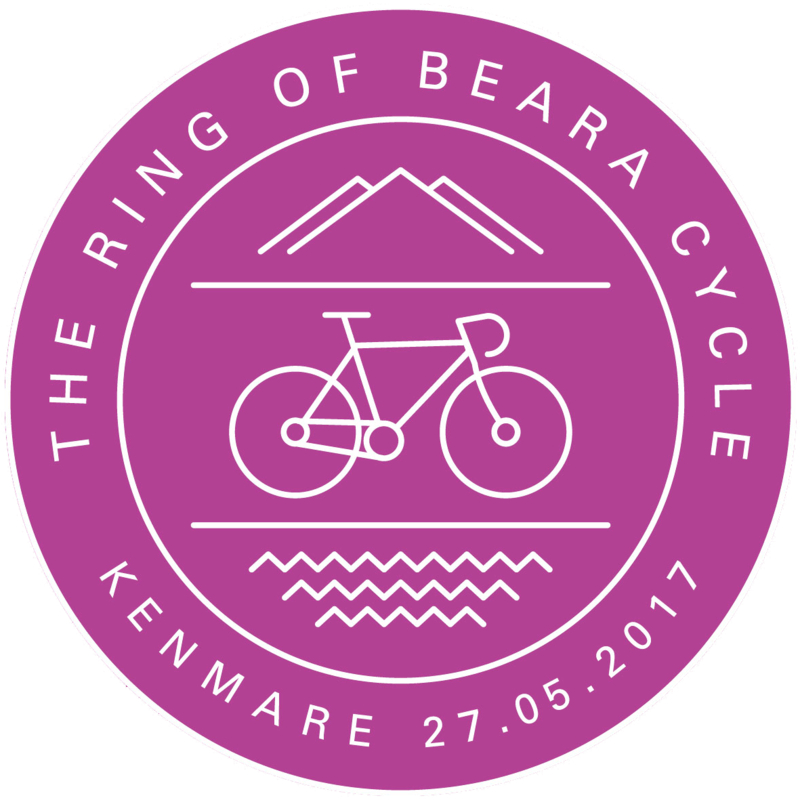 Ring of Beara Cycle Kenmare is an initiative undertaken by Kenmare Marketing and Events Group. The kid’s cycle will start at 10am in Kenmare Square and follow a short 2km route around Kenmare town. A team of marshals will supervise the route and ensure the safety of all children who participate. The kid’s cycle will start at 10am in Kenmare Square and follow a short 2km route around Kenmare town. A team of marshals will supervise the route and ensure the safety of all children who participate. Mums and Dads are welcome to join their children cycle this free fun event. Children participating in the events need to register from 9.15am in the marquee located in Kenmare Square. 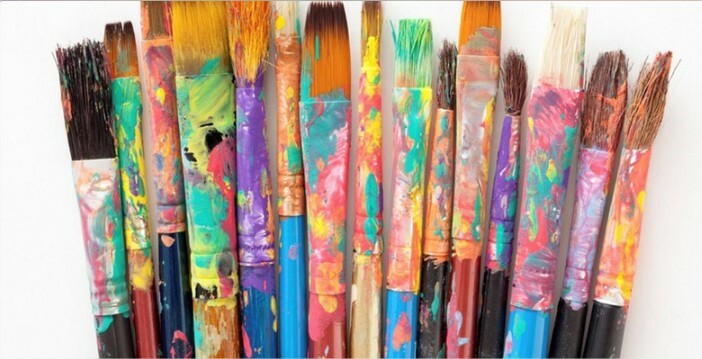 The Art Escape Art Group are returning for a second exhibition in Clonmel Library from next Monday, 22nd May to 2nd June. The official opening will be held on Tuesday, 23rd at 7.30pm. 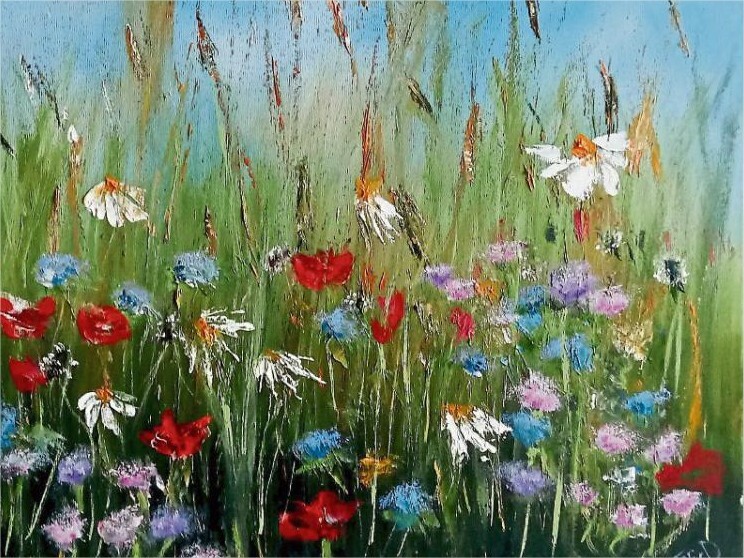 This group of paintings are the work of 40 artists who take part in weekly classes run by Ann Brennan, under the name The Art Escape. Christchurch Cathedral, The Viking Triangle, Waterford. Saturday May 27th at 8pm. Intonations Choir & Guests Summer Concert. Tickets€10/€8 available from any Choir member or on the door on the night. 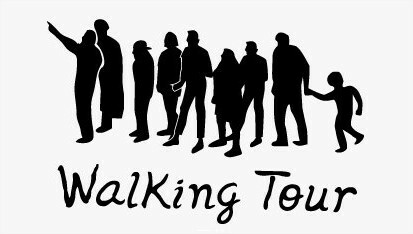 The Carrickmacross Chamber of Commerce are pleased to announce the Carrickmacross Walking Tour which runs on Saturday at 11am. This tour highlights the rich heritage that Carrickmacross has to offer, including the Workhouse, the Fever Hospital, Carrickmacross Lace, St. Joseph’s Church and the Harry Clarke Stained Glass Windows, St. Finbarr’s Church, Essex Castle and much more. The tour takes a little over 90 minutes to complete and is free of charge, children welcome.